Evidence suggests dairy doesn’t do a body good—so why does the government still push three servings a day? Do Americans need so much milk? In 1951, Harvard University nutritionist Mark Hegsted wanted to find out. He had heard all about milk’s virtues while growing up on a small Idaho dairy farm, but as he began studying nutrition, he noticed that plenty of people from countries with little dairy were thriving into old age. There was, however, a practical complication that prevented him from experimenting on the general population to understand this paradox: After a person cuts back on calcium, it can take months or years for the change to show up in the body. So Hegsted went looking for a chronically calcium-deprived population. He found one at the Central Penitentiary of Lima, Peru. Inmates locked up in the grim, 80-year-old stone prison subsisted on a rice-and-beans diet that was extremely low in calcium. They typically drank milk once a week. Hegsted got permission from prison officials to monitor the calcium intake of 10 volunteers. By comparing the prisoners’ intake with the amount they excreted in their waste, he could calculate how much calcium they retained. The average prisoner, he found, could regularly take in just 126 milligrams of calcium a day—less than what you’d get from a single glass of milk—and tests would still turn up normal levels of calcium in his body. The study was small, to be sure, and it included no women, whose calcium needs can be higher during pregnancy and lactation, but its conclusion made sense to Hegsted: The body didn’t seem to need the calcium input that most experts thought necessary. A growing body of research has found that, for grown-ups, consuming too much dairy can actually be harmful. Since 2005, the dietary guidelines have advised adults to consume the dairy equivalent of three cups of milk per day—a full cup more than was previously recommended. This winter, the USDA is set to publish new guidelines based on advice from a panel of scientists who have reviewed the latest research—but most experts expect no change in the dairy recommendations. 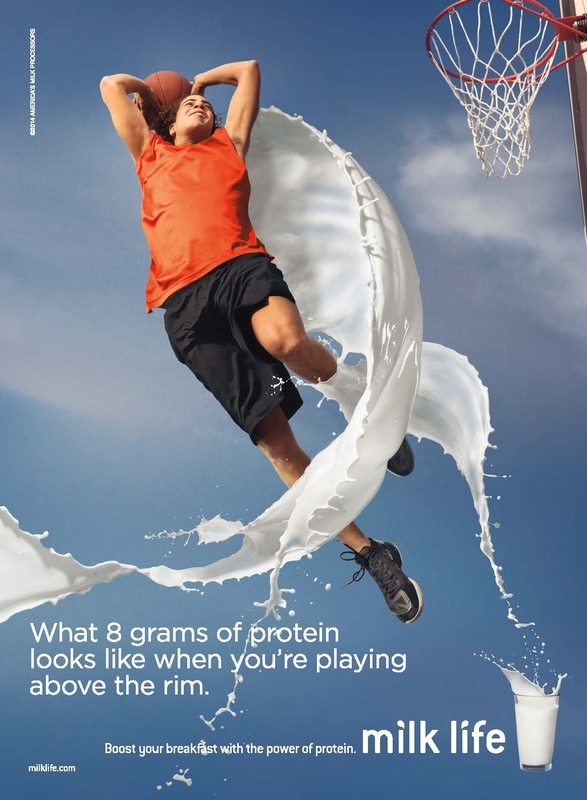 Even as sales of sodas and other sugary beverages have eroded its market share, milk remains a popular drink for children, and for good reason: It’s a convenient delivery system for a host of nutrients, most importantly calcium, which is essential for bone growth. Children who don’t get enough calcium can suffer from impaired muscle control as well as rickets, a disease that causes the bones to soften and weaken. An eight-ounce cup of low-fat milk has 300 milligrams of calcium, or 30 percent of the guidelines’ recommended daily intake. A cup of yogurt has 450 milligrams, and an ounce of Swiss cheese has 270. But outside the dairy family, calcium is harder to come by. In order to get the amount of calcium in a glass of milk, you’d need to eat more than five cups of raw kale, 90 almonds, or a five-ounce can of salmon with bones. The scientist behind much of the new dairy research is Walter Willett, who leads the nutrition department at Harvard. Willett grew up on a dairy farm and did his graduate work in the 1970s at Harvard under Hegsted. Building on his mentor’s findings, Willett discovered that adults who drank or ate large amounts of dairy seemed to have a higher risk of certain health problems than their peers who consumed small or moderate amounts. Less clear, however, was the chemical pathway that explained this finding. Milk, which is designed to give young animals everything they need to grow, is a substance of beguiling complexity. Willett and other researchers suspected that the problems they observed could stem from a range of bad actors in dairy, including high amounts of hormones, the sugar lactose, and even an excess of what has been milk’s biggest selling point: calcium. One sweeping study found that women who drank 2.5 or more glasses of milk a day had a higher risk of fractures than their counterparts who drank less than one glass a day. Willett is thin and tall, with hazel eyes and a handlebar mustache. Soft-spoken and serious, he is, at heart, a data nerd. In the early 1980s, he began overseeing massive, long-term epidemiological studies, including the Health Professionals Follow-Up Study and the Nurses’ Health Study, which track the diets and health of hundreds of thousands of doctors and nurses (a particularly reliable research population) over decades. In 1997, he published the results of an eight-year survey focused on calcium consumption by more than 43,000 men. Despite doctors’ long-held belief that calcium helps prevent broken bones, the study found absolutely no relationship between calcium intake (from both foods and supplements) and risk of fracture. A decade later, a roundup of all the available research—by then, eight epidemiological studies and five randomized, controlled trials—determined that calcium intake does not significantly decrease the risk of hip fracture in women or men. Last year, another sweeping study came to the same conclusion—in fact, it found that women who drank two and a half or more glasses of milk a day had a higher fracture risk than their counterparts who drank less than one glass a day. The findings are in no way definitive; the studies so far have reported only correlations between dairy consumption and disease. What’s more, no one fully understands the biological processes through which dairy could cause cancer. Some studies have implicated D-galactose, a component of lactose, as a possible culprit; it seems to trigger inflammation and the formation of free radicals—conditions other research has linked to aging, cardio­vascular disease, and cancer. After several studies showed a connection between dairy consumption and breast cancer, researchers theorized that the high levels of hormones in dairy foods—specifically estrogen, progesterone, and an insulin-like compound known as IGF-1—may speed the growth of tumors. Other studies have suggested that too much calcium may inhibit the activation of vitamin D, holding it back from controlling tumor development (though the protective benefits of vitamin D haven’t been fully established). Given all the unknowns, Willett recommends that to be safe, adults should consume no more than two servings of dairy a day. He suggests that at least one of those servings comes from yogurt, which seems to be healthier than its nonfermented counterparts, possibly because it contains lactobacillus, a probiotic bacteria that breaks down lactose and aids digestion. Willett also advises that adults limit their total calcium intake to less than 1,000 milligrams a day. He doesn’t believe pregnant women need more than that amount to support developing fetuses, nor is he convinced that postmenopausal women require extra calcium to prevent osteoporosis. In fact, he suggests that even people on low-dairy diets take no more than 500 milligrams a day in calcium supplements. The 14 people on the government’s Dietary Guidelines Advisory Committee, the scientific body whose input serves as the basis for the MyPlate guidelines, disagree with Willett’s recommendations. The committee advises that most adults have at least three servings of dairy foods every day—or enough to provide a minimum of 1,000 milligrams of calcium. For postmenopausal women, the recommendation is at least 1,200 milligrams. Yet Willett is hardly a renegade. The World Health Organization concurs with him (though it suggests higher doses for pregnant women with low-calcium diets). Much of the research on dairy is funded by science institutes at companies like Dannon and Nestlé. So why does the advisory committee disagree with the growing consensus? It’s worth examining the committee members’ industry ties. Tufts University professor Miriam Nelson, the author of best-selling books on osteoporosis, is a member of the Dannon Institute Scientific Council. Steven Abrams served as a paid scientific consultant to the National Milk Processor Education Program, which oversees the milk industry’s national advertising campaigns; he also sat on a medical committee that created calcium consumption guidelines for the National Academies’ Institute of Medicine in 2010. The chair of that group, A. Catharine Ross, has received research funding from Nestlé; Danone, the parent company of Dannon; and Mead Johnson Nutrition, which makes a dairy-based baby formula. Then there are the industry’s donations to politicians. Dairy companies spent nearly $63 million on federal lobbying and gave $24 million to candidates between 2004 and 2014. “There is no disputing, multiple health authorities have independently evaluated the evidence and recognize the importance of three servings of dairy foods each day,” Erin Coffield, a spokeswoman for the National Dairy Council, wrote in response to questions from Mother Jones. While acknowledging that such evidence often comes from industry-funded scientists, she stressed that these researchers work autonomously, submit their results to peer review, and sometimes publish findings at odds with the companies’ bottom lines. But does industry funding ever sway the outcome? In 2007, Lenny Lesser, a doctor at the Palo Alto Medical Foundation Research Institute, wanted to find out. He scoured the Medline database, which includes every reputable health-science journal, and came up with 79 studies on milk published between 1999 and 2003. More than one-third of the studies received at least some dairy industry funding. Of the 15 studies funded entirely by companies, not a single paper reached conclusions unfavorable to corporate interests. Good-for-you claims have always been central to the success of the modern dairy industry. In the 1840s, the biggest consumers of milk were busy mothers who gave it to their babies as a substitute for breast milk. Quotes and endorsements from medical experts featured prominently in the first dairy ads, taken out in women’s magazines in the 1880s by the makers of milk-based baby formulas such as Nestlé’s Food. Over the next few decades, a time when American cities were rife with overcrowding and disease, milk ads and labels on cartons featured rosy-cheeked milkmaids and idealized farm scenes. 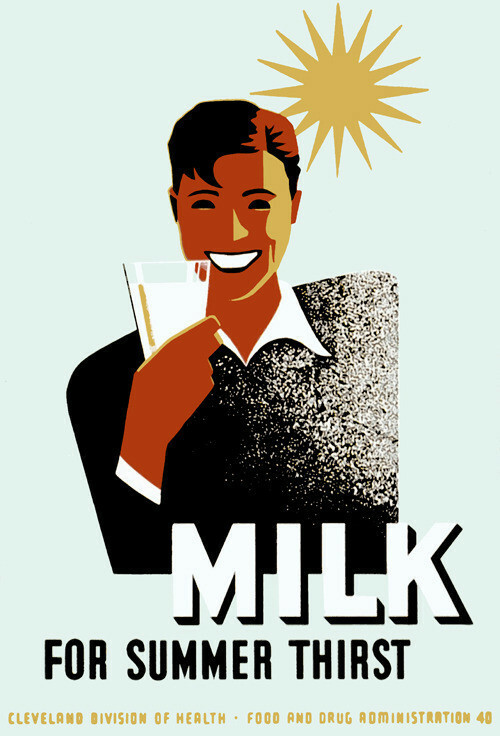 By the Great Depression, when prices collapsed, the perception of milk as nutritious helped the dairy industry win its first government subsidies. Congress passed the Agri­cultural Marketing Agreement Act of 1937, which gave federal regulators the power to set minimum prices for milk purchased by processing and bottling companies. 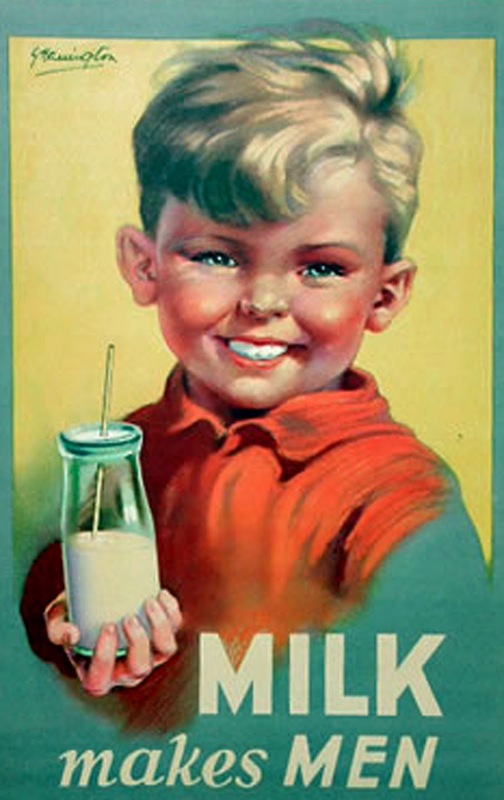 In 1946, under the National School Lunch Act, every subsidized school lunch was required to include enough dairy to equal at least the amount in a cup of whole milk. In 2009, federal nutrition programs accounted for 20 percent of America’s dairy sales. The federal dietary guidelines that strengthened the dairy industry got their start, ironically, with none other than Willett’s mentor Hegsted, who had also done groundbreaking research linking saturated fats to harmful cholesterol buildup. Hedgsted’s work caught the attention of Sen. George McGovern (D-S.D. ), who in 1978 had Hegsted appointed as the USDA’s first-ever administrator of human nutrition. In the United States, people haven’t increased their individual dairy consumption for years, and sales of liquid milk—the most profitable dairy product—have slipped steadily since the 1950s. In the decades that followed, many consumers heeded nutritionists’ warnings about the dangers of saturated fats and ditched whole milk, but they never took a liking to the low-fat versions. The industry’s response, enacted by Congress in 1983, was to create the dairy checkoff, a program that funds dairy research, helps food retailers develop dairy-based products, and pays for ads. Supervised by the USDA, it’s funded to the tune of $200 million a year by a mandatory, $3-per-ton fee that dairy producers pay on wholesale milk. 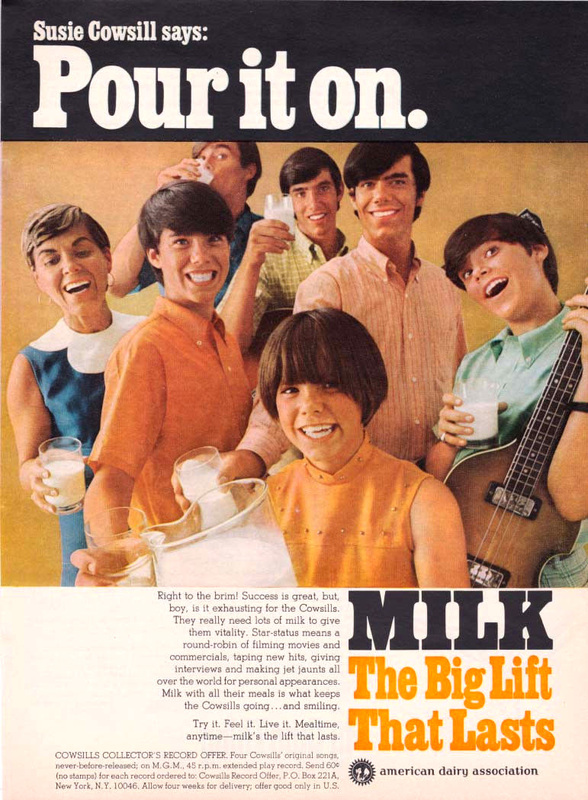 Today, the initiative is best known for its wildly successful “Got Milk?” campaign. For a government-backed initiative, the checkoff program can at times seem blind to public health matters. According to a report released last year, McDonald’s has six dairy checkoff employees stationed at company headquarters. Since 2009, they have helped the fast-food giant create 27 new dairy-based products, including the McCafé Frappé Chocolate Chip, which contains 520 calories and as much sugar as nearly seven Krispy Kreme doughnuts. The dairy checkoff has also partnered with Taco Bell, Pizza Hut, Domino’s, and Coca-Cola. McDonald’s has six dairy checkoff employees stationed at company headquarters. Teaming up with fast-food companies is part of Big Dairy’s larger strategy of beating back competition from soft drinks and junk food. In 2013, when the USDA was tightening the nutritional rules for snacks served in school cafeterias, the Inter­national Dairy Foods Association convinced the agency to allow sugary dairy products like chocolate milk and Danone’s YoCrunch (yogurt with sweet toppings such as M&M’s). Even when Berkeley, Cali­fornia, enacted the nation’s first-ever tax on sugary beverages last year, it exempted sweetened dairy products, citing their nutritional benefits. The mounting evidence against dairy does not seem to have swayed the Dietary Guidelines Advisory Committee. In a lengthy report last February, the group pretty much upheld the industry line: It reaffirmed the claim that dairy products help prevent bone fractures, with a caveat that the evidence is “limited”; it also touted the power of dairy consumption to reduce a person’s risk of diabetes, metabolic syndrome, cardiovascular disease, and obesity. Plant-based drinks such as soy, almond, and rice milk don’t stack up to cow’s milk, the committee concluded, because a person must consume more of them, calorie for calorie, to get the same amount of calcium. Willett says the committee’s evidence for the claim that dairy lowers the rates of cardiovascular disease is “incredibly flimsy” because it’s based on limited data and is contradicted by more recent research he’s seen showing that dairy has no effect on cardiovascular disease rates. What’s more, he says, to suggest even a weak link between dairy consumption and lower bone fracture rates “really misrepresents the literature.” Finally, Willett points out that the committee doesn’t mention the science linking dairy consumption and cancer—even though other respected bodies do. The Prostate Cancer Foundation recommends that men cap calcium intake at 1,500 milligrams a day. The calcium-cancer link has been accepted by France’s Ministry of Health and the United Kingdom’s National Health Service, which both recommend just 700 milligrams a day.